As a movie it pretty much follows the traditional animated movie storyline; you have your misfits that don’t fit in, trying to find where they belong, you have the fake loss for the emotional junky watching, and the grand finale where everybody wins (surprise). 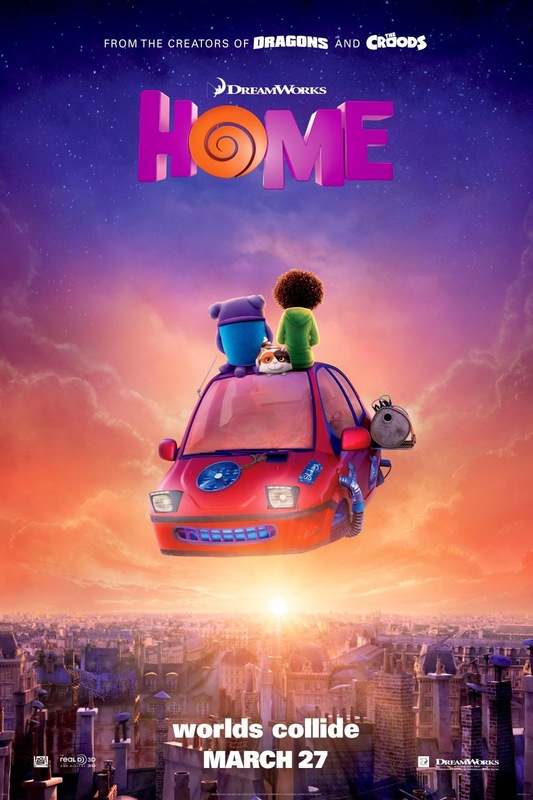 For those who are 3D artists, this movie will be a little more interesting; the Boov characters are kind of cool, with a lot of squash and stretch, sometimes even blowing up like a balloon, some crazy simulations going on, loved how they also change colors which was kind of cool. The girl, Gratuity ‘Tip’ Tucci (Rihanna) has some interesting design, more towards the realistic side, with some very beautiful eyes more wider pupils but looks really good, and her hair is especially good some great hair simulation. I like how they contrasted characters with a semi realistic girl, a very cartoony looking cat and a cartoony Boov. Some great visuals, the cat cam was nice, and the scene in Paris, that’s probably the cherry on the top for this movie.